Supreme leader rejects Trump's offer as foreign minister questions whether US president is 'serious about talks'. 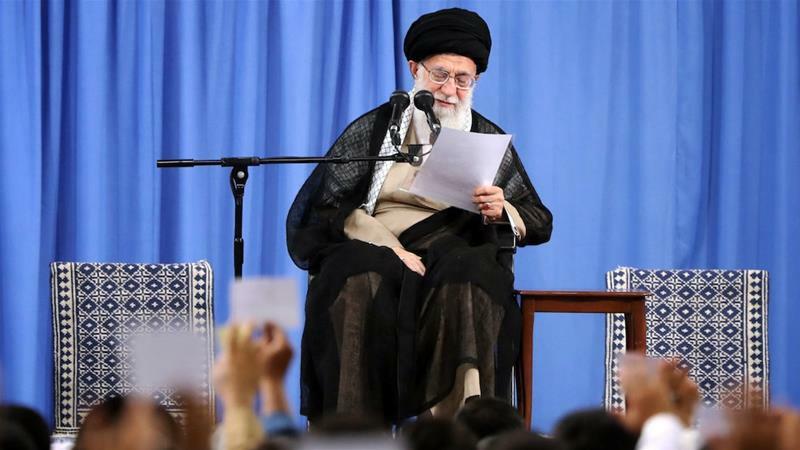 * * * Iran's Supreme Leader Ayatollah Ali Khamenei has ruled out negotiations with the administration of US President Donald Trump, going toe-to-toe with him in a series of social media posts. "Even if we ever - impossible as it is - negotiated with the US, it would never ever be with the current US administration," Khamenei said on Monday. Khamenei, who has the final say in Iran's most important political decisions, said that as demonstrated in the 2015 nuclear deal, his country will only enter into negotiations in the position of strength "so that US' pressures and uproars won't affect us". "Recently, US officials have been talking blatantly about us. 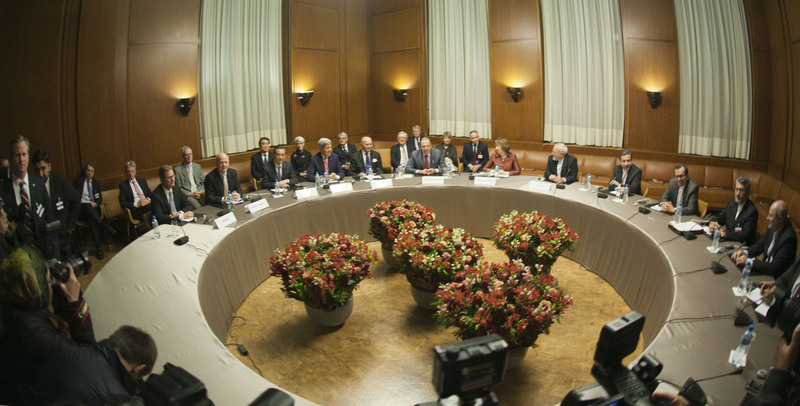 Beside sanctions, they are talking about war and negotiations. In this regard, let me say a few words to the people: THERE WILL BE NO WAR, NOR WILL WE NEGOTIATE WITH THE US," Khamenei continued. In another post, he also listed a litany of reasons why Iran is not negotiating with the US, including Washington DC's refusal to "retreat an inch from the self-asserted goals". In recent days, Trump, who withdrew the US from the landmark deal in May and has repeatedly criticised Iran's deal, has said that he is willing to negotiate with Iran and meet Iranian President Hassan Rouhani without preconditions. But US Secretary of State Mike Pompeo quickly walked back on some of the president's comments, listing several demands for such a summit to take place. Rouhani responded to Trump saying that Tehran will not negotiate while the country is under sanctions, but did not rule out direct talks altogether. Washington reimposed sanctions against Iran on August 7. 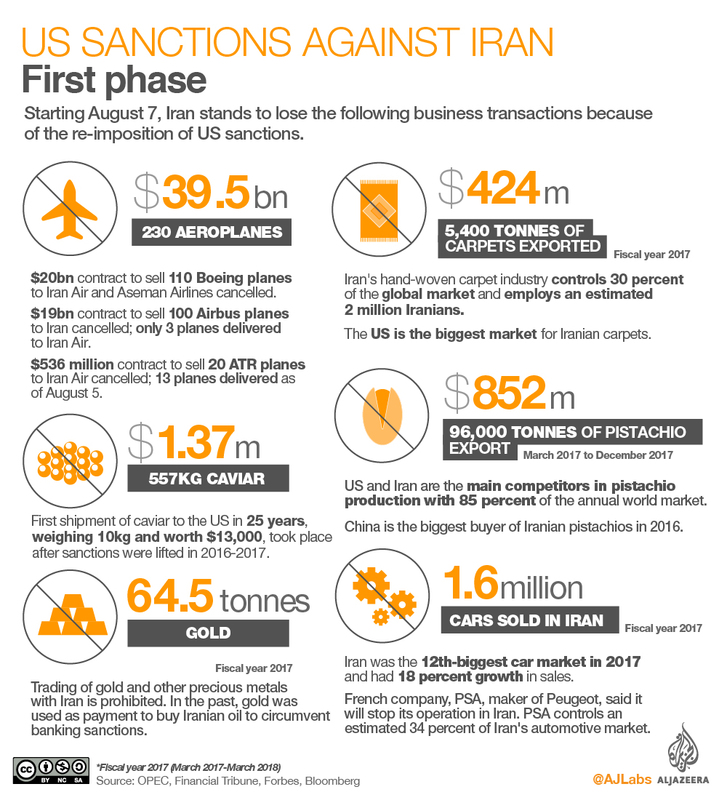 A second round of sanctions targeting Iran's biggest exports - oil and gas - will take effect in November. Iran's Foreign Minister Mohammad Javad Zarif, echoed Khamenei's comments in an interview with Al Jazeera. "We have no problem with dialogue but is Mr Trump really serious about talks?" Zarif said. "If he is serious about talks without preconditions, well the secretary of state put some conditions for talks two hours after Trump's comments - impossible conditions. "The first question is, if they themselves have reached an agreement inside the US about talks with or without preconditions? 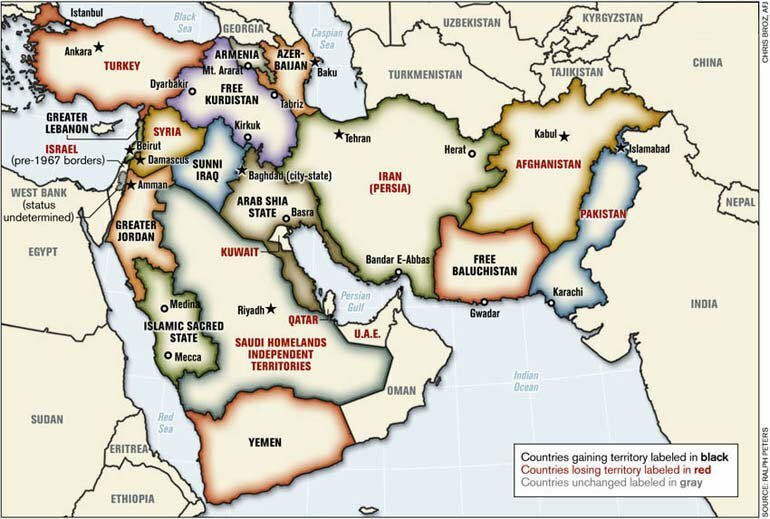 Our policies in the region are totally clear. It's the US who needs to be accountable for policies in the region," Zarif said. In the interview Zarif also strongly condemned and criticised Saudi Arabia and the United Arab Emirates for carrying on a war in Yemen. He blamed Europeans and Americans for supplying the Saudis with weapons of war needed to wage a campaign in Yemen that has resulted in one of the worst humanitarian disasters in the world. Despite mounting US pressure on Iran to curb its regional activities, Zarif said Iran will not rein in its influence in the Middle East. "Iran will not change its policies in the region because of US sanctions and threats," added Zarif.